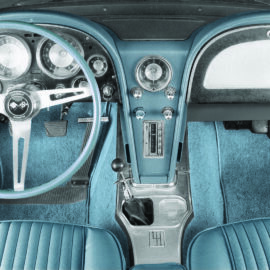 If you are looking for a Custom A/C System for your Antique, Classic, Hot Rod, Street Rod, or Antique Vehicle then you have come to the right place! Our Systems feature Heat, Air, and Defrost, or we also have Cool Only Underdash Systems or Heater Only Units. 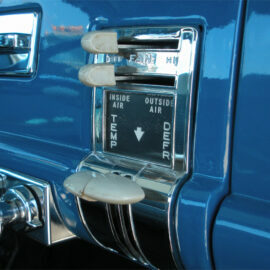 You are sure to find a custom air conditioning solution for your ride! 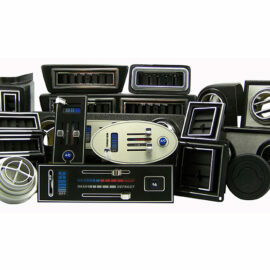 Start out browsing our “Model Specific A/C Systems” Section. Here you will find our systems that were engineered-to-fit your particular vehicle. Depending on your vehicle, we might offer a complete custom solution including the bracketry needed to mount the system to your firewall, Integrated Switching (cable or electronic), and even Custom Condenser Mounts. 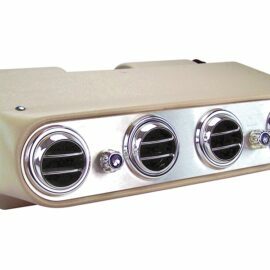 We have a wide selection of A/C Units for all major brands and models. If you can’t find what you are looking for in our “Model Specific A/C Systems” Section, or you have a custom classic street rod that you need a custom solution for, then look at our “Custom & Street Rod A/C Units” Section. Here you will find our Base Systems which include our HURRICANE® Systems, Underdash Systems, HURRICANE® Trunk Systems, Economy (700/800) Systems, and Heaters. Utilising a “Base” System you can create your own Custom System exactly for your needs. If at any time you need assistance, please feel free to get in touch. Your can download the PDF catalogue here.